Hurry up to add some magic to your images without any paying at all! 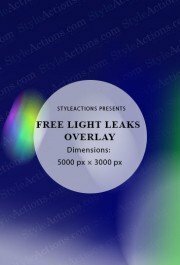 This light leak overlay will bring magical vibes into your images! Just look at this north light on your images! Even the simple flat shots are looking now magically and overwhelming and it only after one simple overlay applying! You won’t waste your time on money on achieving this result! You will need only a few clicks and your image will transform magically! 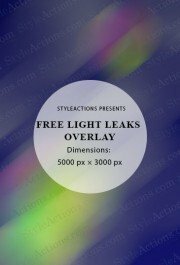 We offer this light leak overlay for free, so you won’t lose anything! If you have some questions about applying! Just look through our text file inside the package and all questions will be solved! We make the applying process maximally easy, so even the amateur user will be able to use this overlay!